Focus on Family is the first Nurturing & Development Centre in Ireland. We have specially trained staff who work together with families to provide the building blocks for positive, constructive relationships and to promote quality parenting. We deliver two main nurturing programmes – one for parents and carers, and one for children. One-to-one sessions are also available to ensure that everyone gets all the help and support they need. 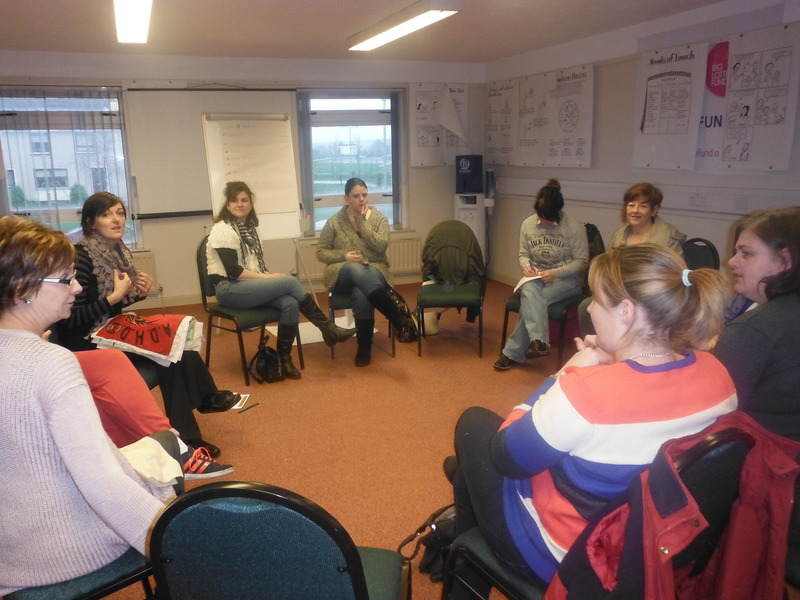 Over the ten weeks, participants take part in interactive sessions that develop positive learning outcomes whilst providing an open and honest setting in which to discuss the highs and lows of parenting. These programmes run throughout the year at Focus on Family and vary in length depending on the age of the participants. Children taking part in the nurturing programmes have the opportunity to engage in a series of fun and varied activities, both in-house and out and about in the local area. The emphais is very much on active learning – helping children to relate better to one another and to feel more content – through stimulating and energising sessions. We have developed additional programme strands which add value to the existing programme elements and provide the maximum benefit to those taking part – children attending the nurturing programmes can engage in interactive parent and child art workshops, nature visits and cultural trips, among other activities. The above programmes can be delivered at the Focus on Family centre to individuals or groups, or can also be delivered externally to groups or agencies on request. Angela Canning is our Nurturing Coordinator and she’ll be happy to tell you more about the programmes and what we can offer to help support families. Give her a call on 028 7032 9550 to find out more.